Local poet, storyteller, and performing artist Kavon Cortez Jones will deliver some of his iconic monologues about his Milwaukee love from the porch of Eliza’s Peculiar Cabinet of Curiosities. KJ will take you around our beautiful city from the top of the U.S. Bank building to the Fuel Cafe, Var Gallery, across the 16th Street Bridge, skylarked on Lake Michigan's shore, to Reservoir Park where he wishes to leave Milwaukee. Kavon Cortez Jones invites you to be amazed by the voice and gestural dynamics of a young performer. This is a Call and Response event. Kavon Cortez Jones is a Milwaukee homegrown writer, storyteller, biker, and actor. 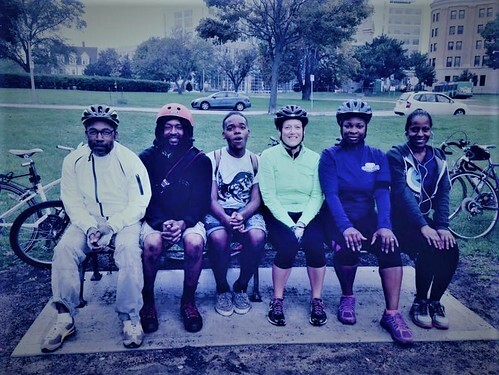 Jones leads bike rides with local muralist Ammar Nsoroma and the Red Bike & Green's Milwaukee Chapter. He performs in Quasimondo Theatre's avant-garde productions, and visits schools city-wide to facilitate poetry workshops. Jones self-published his debut poetry book, Club Noir, on September 26, 2016, his 22nd birthday. The young scribe has sold over 600 copies since with no book release party or bookstore purchases. Instead, he meets with friends and colleagues in coffee shops, Fuel Cafe, Rochambo for a fulfilling in-person exchange. Now, at 23, he is transitioning out of his Club Noir writing phase to the “Essence of Cool” era. The Essence of Cool will be the title of a second full-length poetry book to be released, September 26th, 2020, his golden birthday. The next couple years for Kavon Cortez Jones will be centered around “Carpe Diem,” being more fearless, simply a celebration of life. Visit his Facebook page to learn more.